Snake tattoos are pretty common. 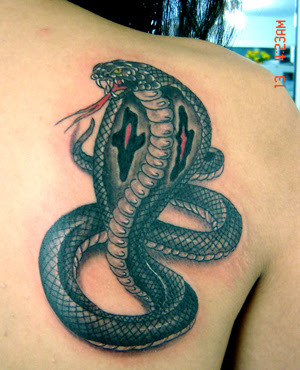 However, a cobra tattoo is not easy to find. I guess it is because people are so afraid of cobras.